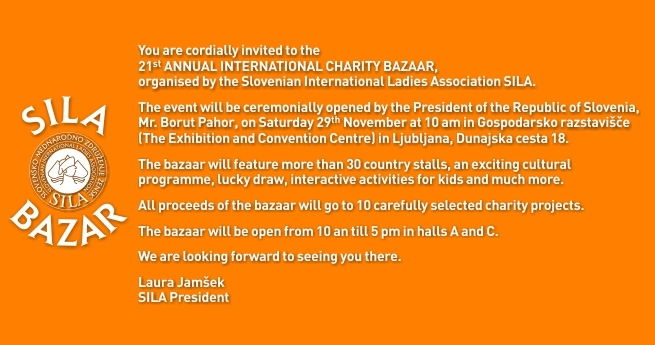 Thank you all Country representatives and Sila members for your help in organising 21st Sila bazaar that took place on 29th November 2014 at Gospodarsko razstavišče. In only one day we managed to raise almost 70.000 € (with 30 participating countries, second hand book corner, clothes corner, lucky draw, creative Sila corner as well as rich cultural program). For all donors that donated products or money for this year’s Sila Bazaar, please visit Sila bazaar 2014 donors list. List of media that covered Sila bazaar 2014, you can find on SILA in media.